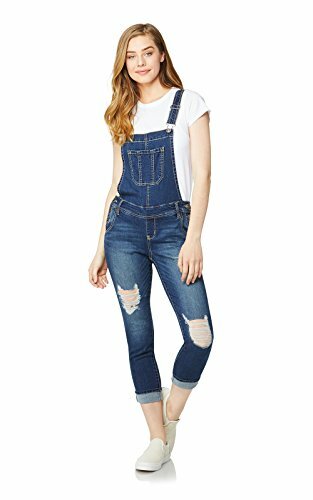 Denim jeans overalls with adjustable straps, one chest pocket, 2 back pockets, 2 side pockets and side buttons. Rolled cuff is not tacked so it can be rolled up or down. 25" Inseam cuffed. WallFlower Jeans is a lifestyle brand that provides stylish looks from head-to-toe at an exceptional value. The brand offers jeans from Classic and Curvy to Plus Size options in a variety of washes. In addition to denim, they offer tops, dresses, outerwear, loungewear, sleepwear and intimate apparel, watches, footwear, handbags and jewelry.